THE ART OF TIBET exhibit – Celebrate Colour – will be hosted in the Asian Centre’s auditorium from November 5 through 14. 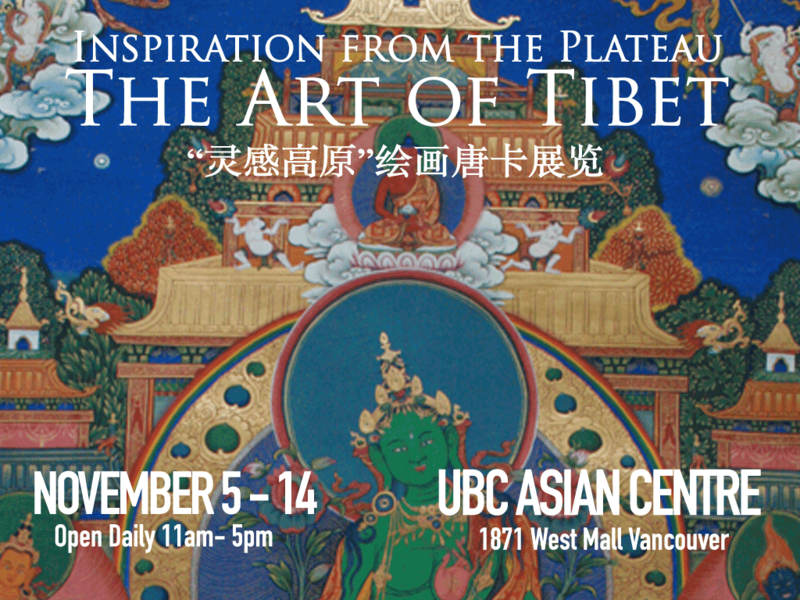 This free exhibit will be open weekdays from 11 am to 6 pm, and feature renowned Thangka paintings, scrolls, photographs, and historical displays.THE ART OF TIBET: Nov 5 through 14 at UBC Asian Centre. Free admission.